The Wizarding World of Harry Potter has finally come to the west coast, and those of us in the left half of the United States could not be more thrilled. 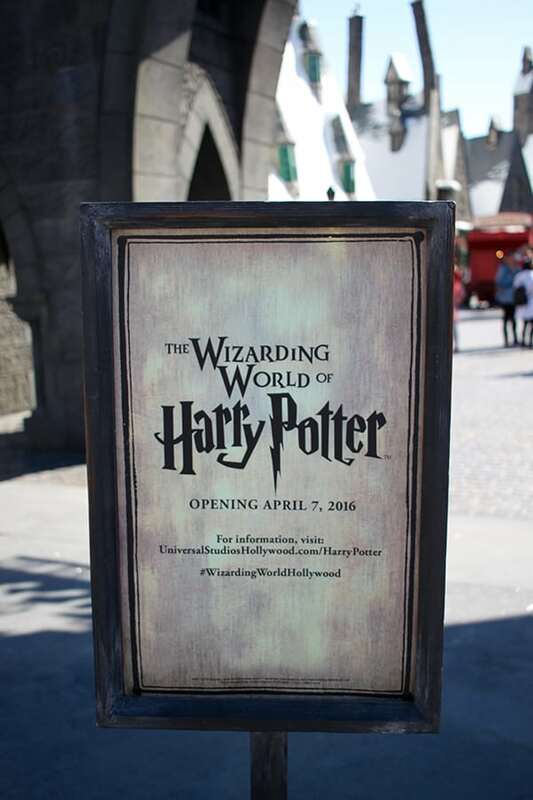 The official opening for the Wizarding World of Harry Potter is April 7th, but we stopped by hoping to catch a glimpse during a soft opening, and where lucky enough to spend some time at Hogsmeade! 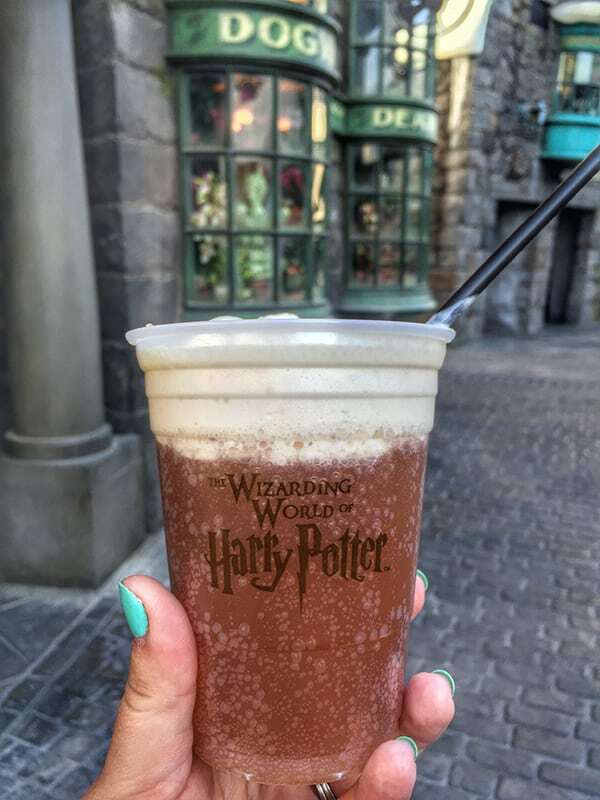 It’s been a year since we visited The Wizarding World of Harry Potter in Orlando, you can find my tips for that park here, so we were pretty excited. 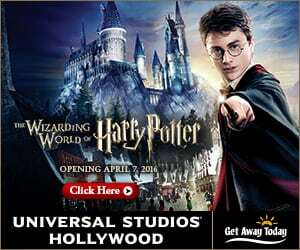 Universal Studios Hollywood UPDATE from my friends at Get Away Today! Universal Studios Hollywood is raising ticket prices next Wednesday, October 12th. If you are planning a trip for the rest of this year, you’ll want to book by next Tuesday, October 11th to save the most money! If you are planning a trip, I highly recommend checking with Get Away Today. They have great prices on theme park tickets and hotels, and are really helpful! Discount Theme Park tickets are available here! Get Away Today Park Tickets! If you use the promo code Pencil, you can save $10 off a Southern California vacation package when you book with them! The Wizarding World of Harry Potter Hollywood is one land that includes the village of Hogsmeade and the Hogwarts School of Witchcraft and Wizardry. When you enter Universal Studios Hollywood, just head to the right. It’s not far from the entrance. 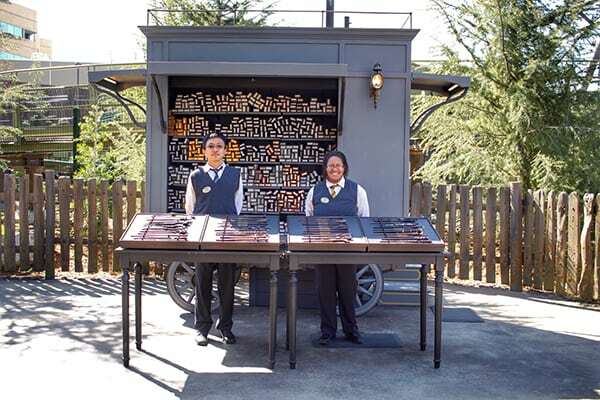 You’ll enter The Wizarding World through Hogsmeade and the first thing you will see is a gorgeous stationary replica of the Hogwarts Express. Of course this is a perfect photo opportunity! 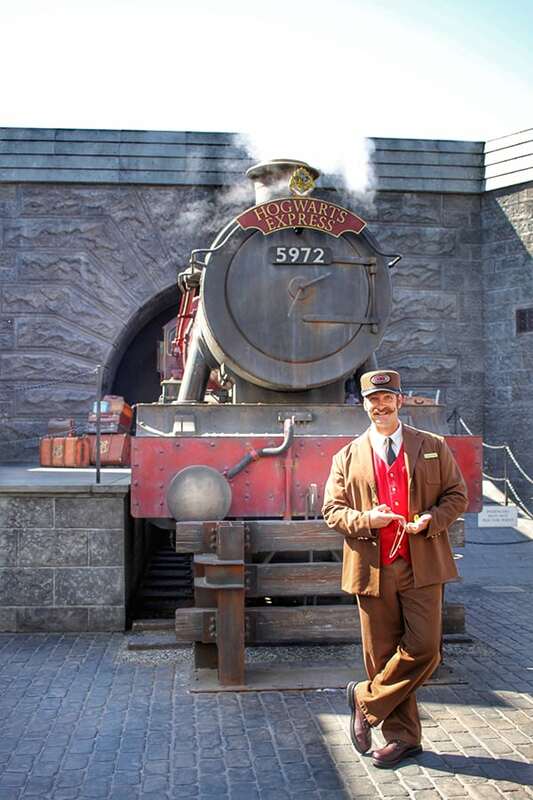 Take some time to chat with the conductor and other muggle, wizards and witches you run into. They are a lot of fun! Just past the Hogwarts Express is a paid photo opportunity where you can borrow a few accesssories like wands and scarves and get a fun picture in a Hogwarts Express train car photo booth. When we visited, the pictures were $25 for the first print and $5 for each additional. 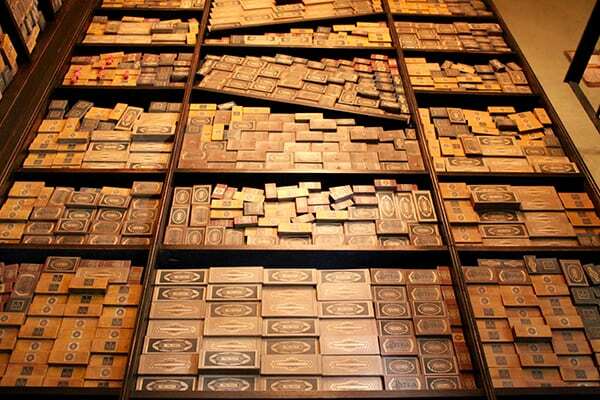 You may want to make your first stop Ollivanders. 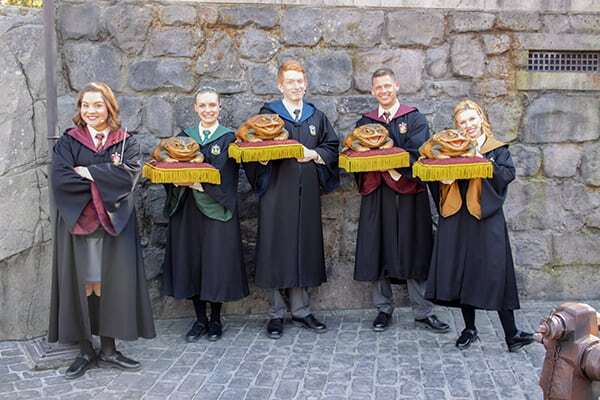 This is my favorite experience at The Wizarding World of Harry Potter, and the one that my kids still talk about from our trip to The Wizarding World in Orlando. The Ollivanders experience is absolutely charming. The line forms outside and, once the park opens officially, will likely continue to grow as the day goes on. 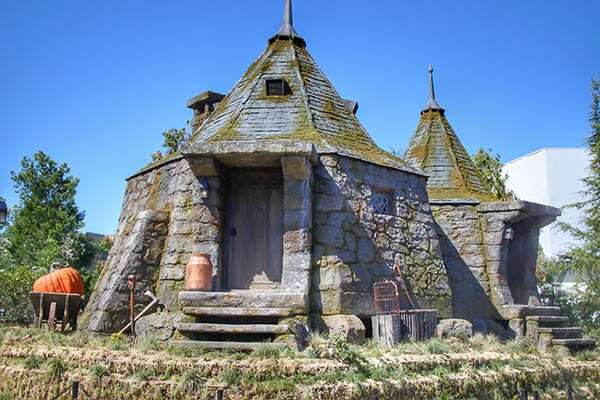 It looks as though Universal Studios Hollywood has planned for this though as there is plenty of space set up behind Ollivanders for the inevitable demand. Once you are through the line, a small group is ushered in to meet a wand maker. From the group, someone is selected for the wand experience and will be fitted for a wand by the wand maker. Don’t forget that during the fitting, the wand will choose the wizard (or witch!). Our kiddos were selected in Florida to be fitted together on our second time through, and were thrilled with the whole experience. 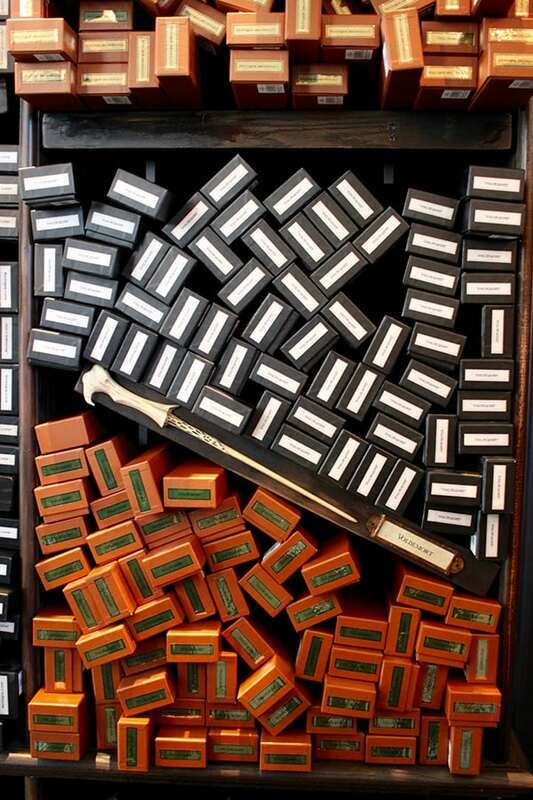 After the experience, the whole group is ushered into Ollivanders shop were everyone can shop for a wand. You can choose from replicas of the character’s wands or wands like Willow and Oak that embody certain characteristics. To fully experience The Wizarding World of Harry Potter, you should plan on buying one of the interactive wands with the gold label. They are around $50 and allow you to cast spells in designated spots throughout the Wizarding World. Included with the interactive wand is a map that shows you were each spell is located, and you can also look for the markers on the ground. They tell you which way to stand, what to say to cast the spell and how to perfectly flick your wand. It can be a little tricky, so there were quite a few wizards and witches hanging around to offer advice. We forgot to bring our wands from the Wizarding World of Harry Potter in Orlando, but we were told by one of the wizards that they will work in Wizarding World West as well. If Ollivanders is too crowded, you can also find a wand at this lovely cart a little further into Hogsmeade. If you are a thrill-seeker, this just might be your first stop! 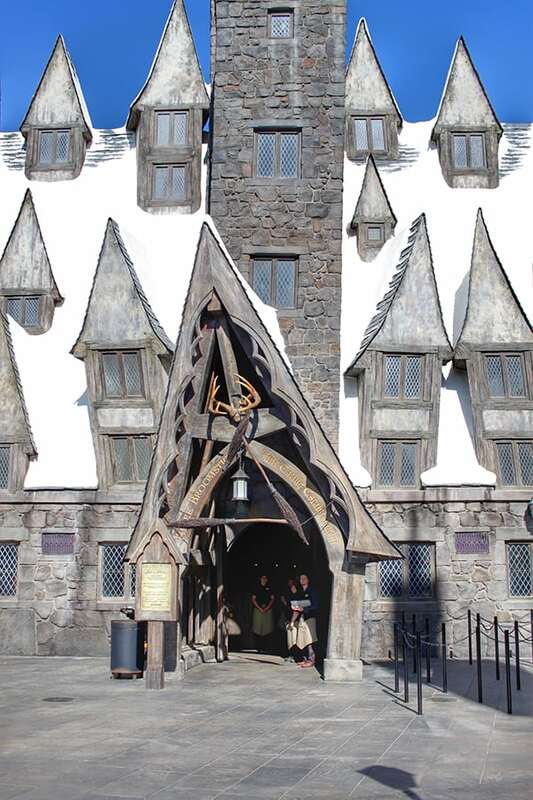 The Hogwarts castle is actually an amazing ride that includes a 3-D experience. Harry Potter and the Forbidden Journey is an excellent ride, but my favorite part is the walk through Hogwarts. Universal has made the line part of the experience. 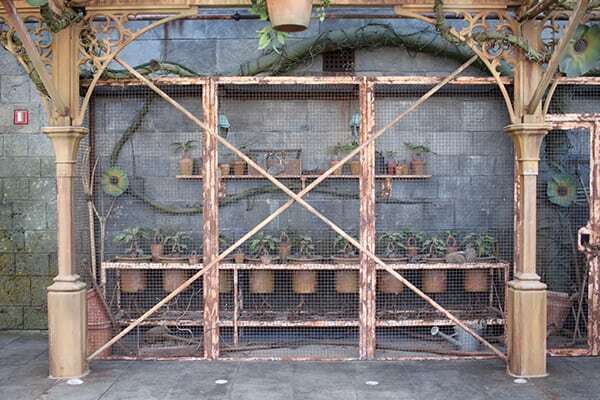 Right outside Hogwarts is the greenhouse you may remember from the books and movies. If you look closely you’ll see these are mandrakes, complete with little angry faces. When we visited, the ride had no wait, so we took our time walking through Hogwarts. 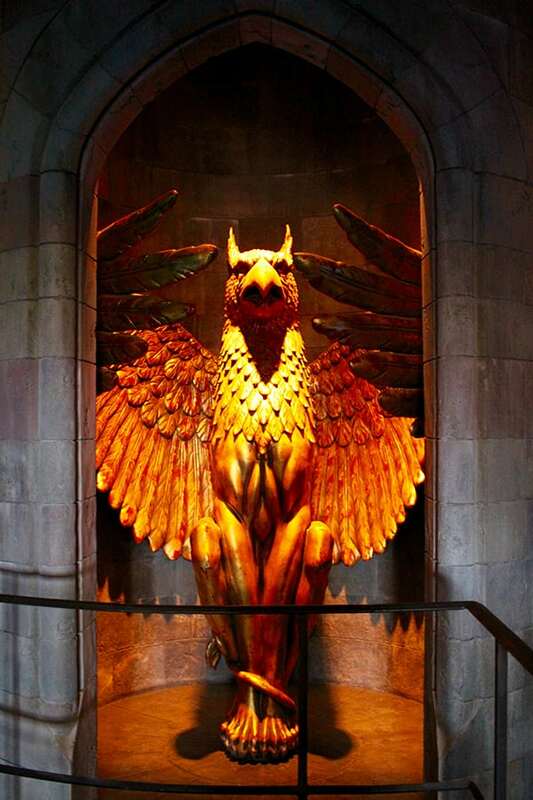 The details are wonderful and a can’t miss for any Harry Potter fan! Notes on the ride: The actual seats are fairly small on the ride, so plan on stowing backpacks, purses or even large cameras in the lockers before you enter. The lockers are free for two hours and use a finger print scan to open and close the locker door. They also have test chairs outside for riders to see if they can ride comfortably. I would also recommend riding this ride before a heavy meal or a tall glass of Butterbeer! The motion and 3-D can bother sensitive riders. This short roller coaster is smooth and fun, good for younger kids and families. The best part of this roller coaster though is the view of Hagrid’s Hut as you pass through the line! 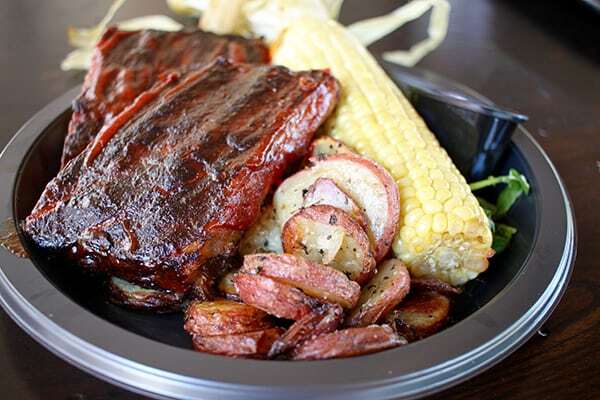 Dining at the Wizarding World of Harry Potter gets a two thumbs up! 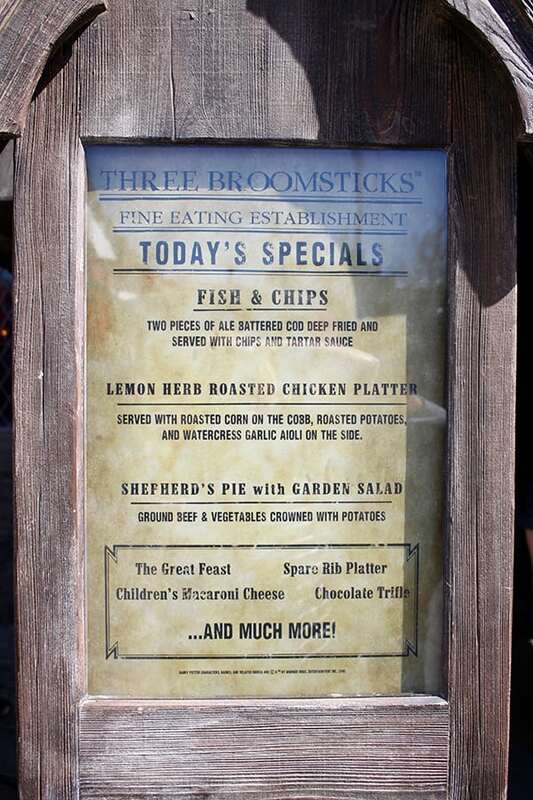 We were super impressed with the food and the atmosphere at the Three Broomsticks. It’s a counter service restaurant, but with hearty fare that fits the theming. The Rib Platter was delicious! The ribs were surprisingly tender and the barbecue sauce was flavorful. 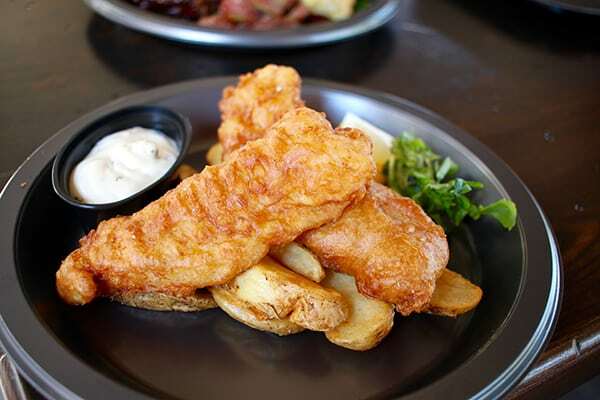 Most of the main menu items included corn on the cob, which I was hesitant to make a mess with, so I went with the Fish and Chips which was pretty solid as well. Next time, I plan to try the Lemon Herb Roasted Chicken. It sounds delicious, and after trying the ribs, I have high hopes. 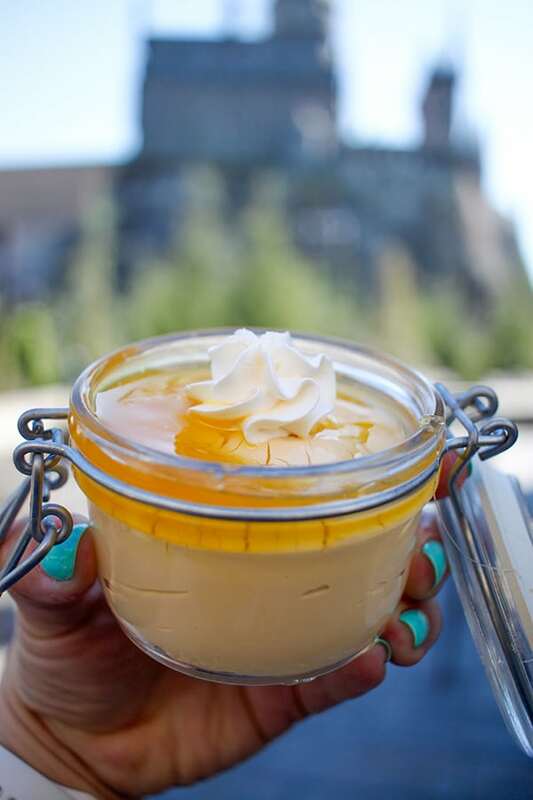 One of the best parts of Three Broomsticks are the desserts. So even if you aren’t in the mood for a meal, stop by for a dessert and enjoy the atmosphere! 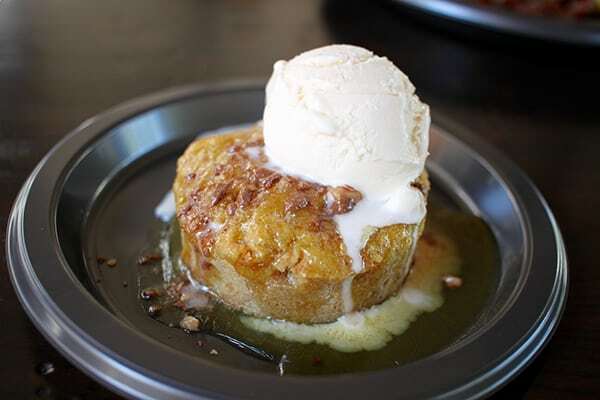 The sticky toffee pudding was a hit, though we didn’t realize it came with ice cream. We had quite a bit of melting before we finished our lunch! The Butterbeer Potted Cream was the decadent stand out. Rich and creamy and oh so butterscotchy! A must-try, several of the Three Broomstick staff told us it was their favorite. 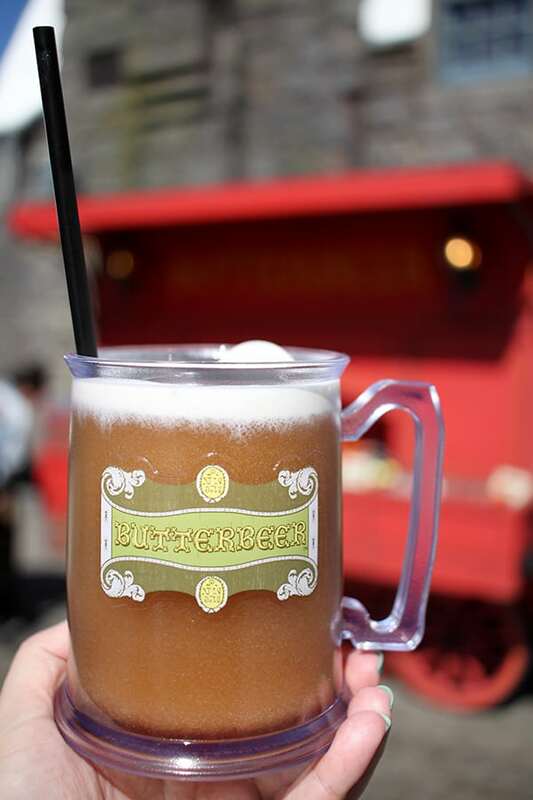 The famous Butterbeer from the movies and the books is available at the Wizarding World of Harry Potter and it is delicious. One of the best theme park treats of all time. It’s a non-alcoholic drink that is a delicious combination of cream soda and butterscotch. 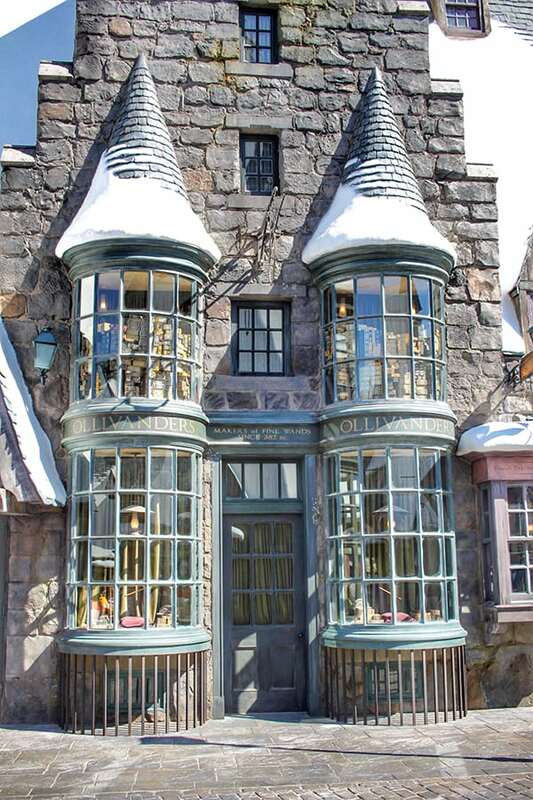 Here at the Wizarding World of Harry Potter Hollywood, you can choose between regular or frozen. I love both! The frozen is especially delicious on a hot day. It comes in a regular cup or a plastic souvenir mug. 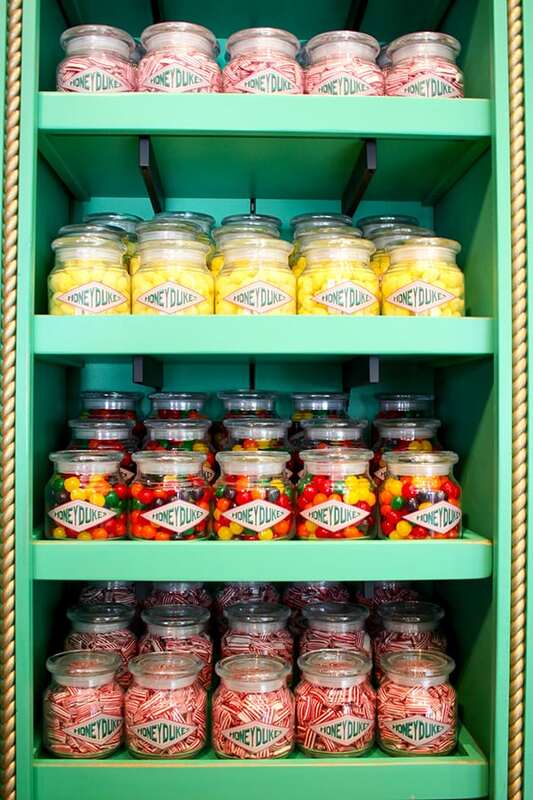 The legendary sweet shop comes to life at the Wizarding World of Harry Potter and it is beautiful. 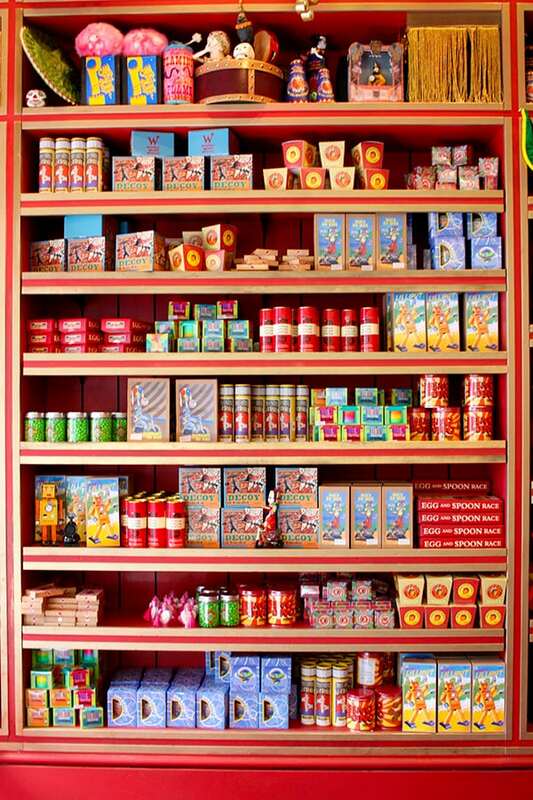 Filled with must-have treats and candy found only in Harry Potter, you will want to take home one of everything. This store is an absolute delight. 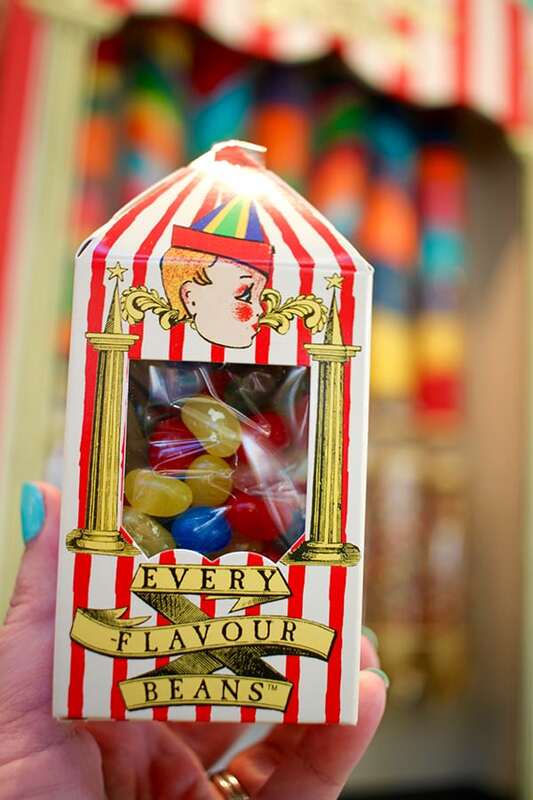 Bertie Bott’s Every Flavor Beans make a fun gift to take home. My kid’s love trying the not so nice flavors and trying to get adults to try them too. I recommend avoiding the vomit flavor at all costs! 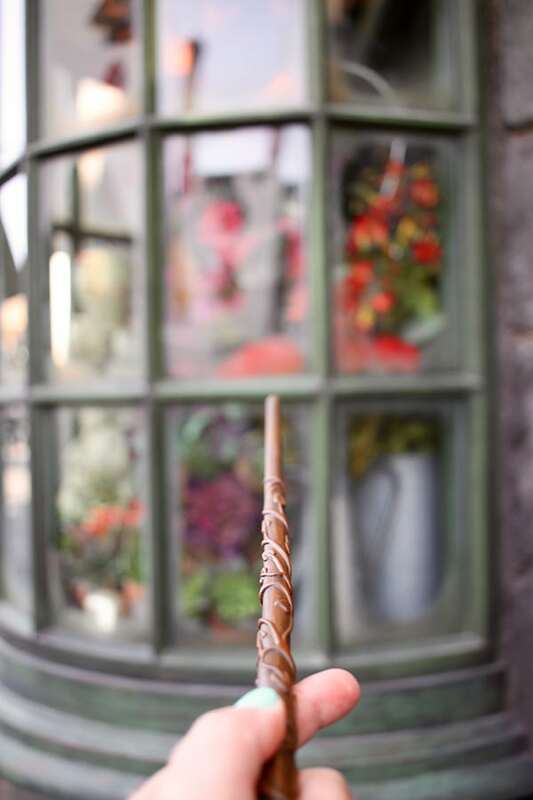 The chocolate frogs are also a must try. They even come with the collectible wizard playing cards! 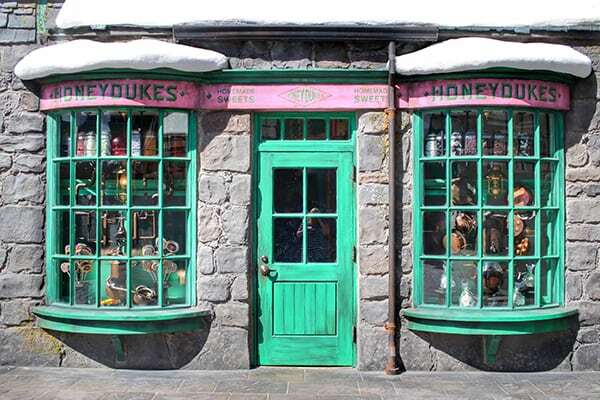 Honeydukes is also connected to a small version of Zonko’s Joke Shop where you can find toys and practical jokes from the Harry Potter universe. 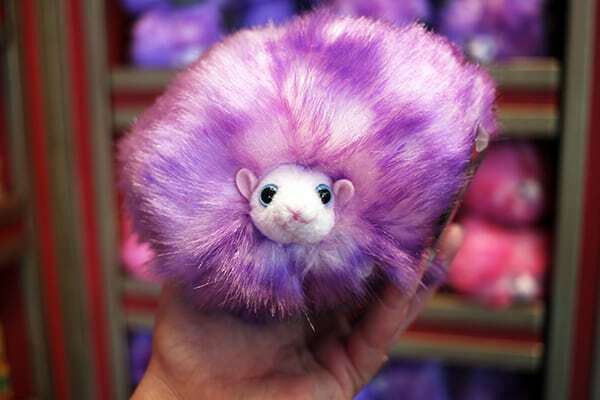 My favorites are the Pygmy Puffs available for adoption. Have a name ready for your new friend so they can officially announce it for you! This one is named Hermione. 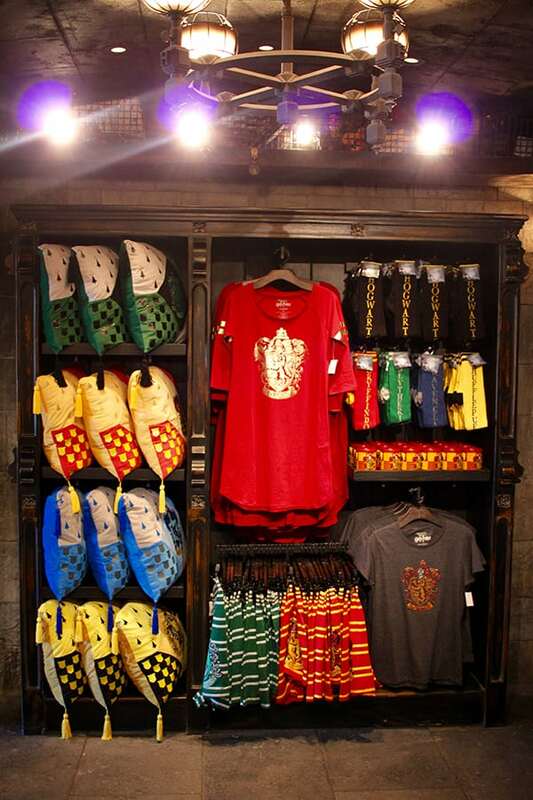 The Wizarding World of Harry Potter is filled with unique high quality items, so budget accordingly! Just window shopping is fun, so make sure you take time to browse. What’s really great is that you won’t find Wizarding World of Harry Potter tee shirts, but you will find Hufflepuff tee shirts and Quidditch balls. 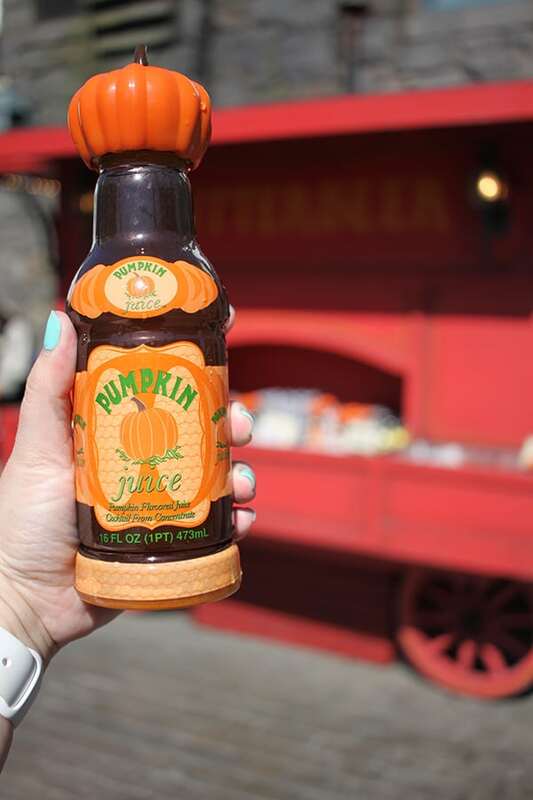 Pumpkin Juice makes a fun souvenir too! The bottle is cute and plastic, so it travels well! It tastes good too, though not as good as Butterbeer. Pumpkin juice tastes like a blend of apple juice and pumpkin puree with a touch of cinnamon and nutmeg. Between Hogsmeade and Hogwarts is a small stage where you can catch a performance from the Frog Choir or the TriWizard Spirit Rally. The performers stay after for a fun photo opp. How cute are these frogs smiling for the camera? 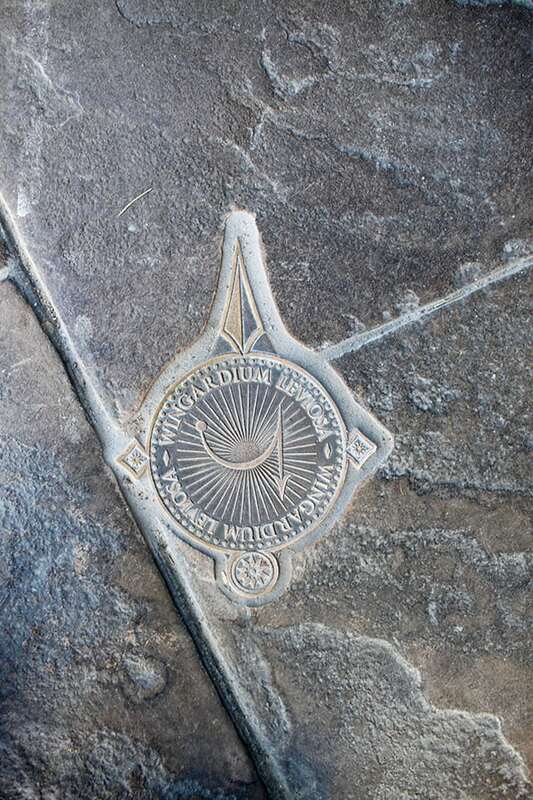 The details in the Wizarding World of Harry Potter are really the best part of the park, so lots of photos are a must! I use a wider angle lens for my Canon Rebel (link is to a newer model of my camera) that I am really thrilled with. It’s inexpensive and lightweight, making the camera easy to carry. I love the wider angle as I am able to fit more in the frame of my pictures. The f-stop is low enough that I can get bokeh and use it in lower light. If you are planning a trip, I do recommend checking with Get Away Today. 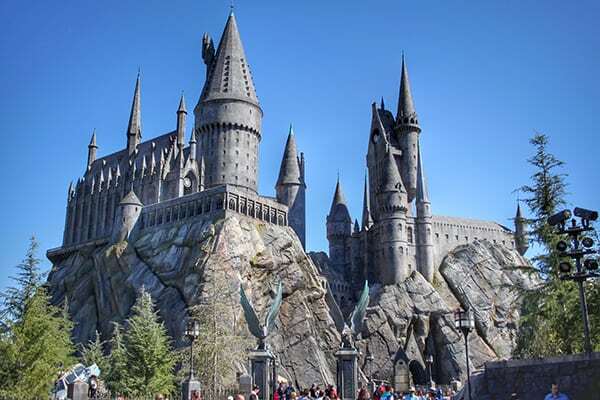 I think you could plan on spending several hours just at the Wizarding World of Harry Potter, depending on the park hours and how crowded it is. The Wizarding World will be least crowded in the morning and the last hour before closing. Hogwarts is especially lovely at night! 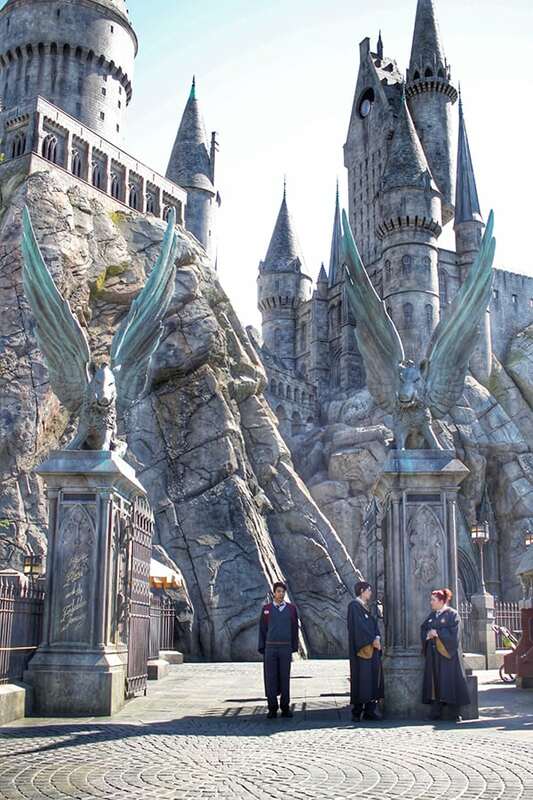 You won’t regret paying a visit to the Wizarding World of Harry Potter Hollywood. The attention to detail is fantastic and you truly feel like you are walking into Harry Potter’s world. I’m working on a post for sweetyhigh.com about all of the delicious food at the new Harry Potter World at Universal Hollywood. I just wanted to inform you that I will be using some of your awesome pictures and linking readers back to your site. Let me know if you have any questions or concerns! I’ve been waiting for you to post about this park! We’re heading there this year (still debating on when will be best with the crowds and when they’ll be open) and are SO SO excited. Quick question, do you have a suggestion of which one you think is better? I’m sure they are both amazing but we are torn on if we should go to Florida or California. Well, Florida is really amazing! 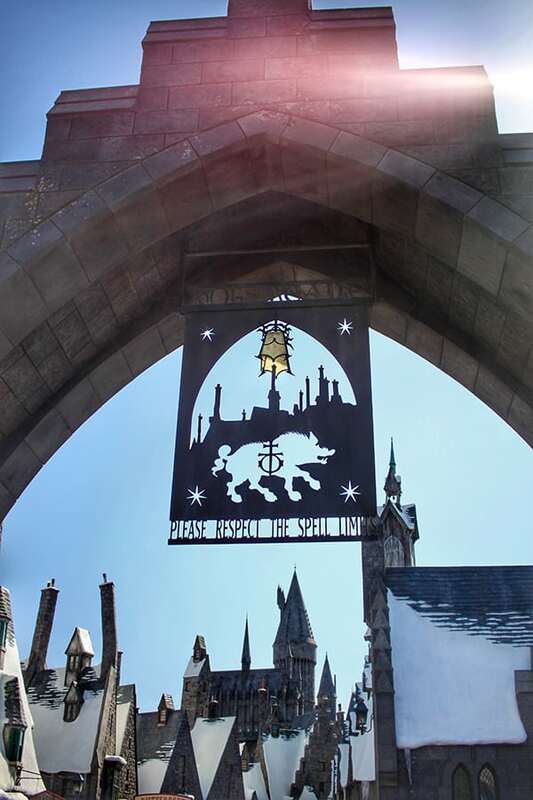 They have Hogsmeade as well as Diagon Alley and The Hogwarts Express, so two Wizarding World lands, plus an additional ride. The new Wizarding World in Hollywood is just Hogsmeade. 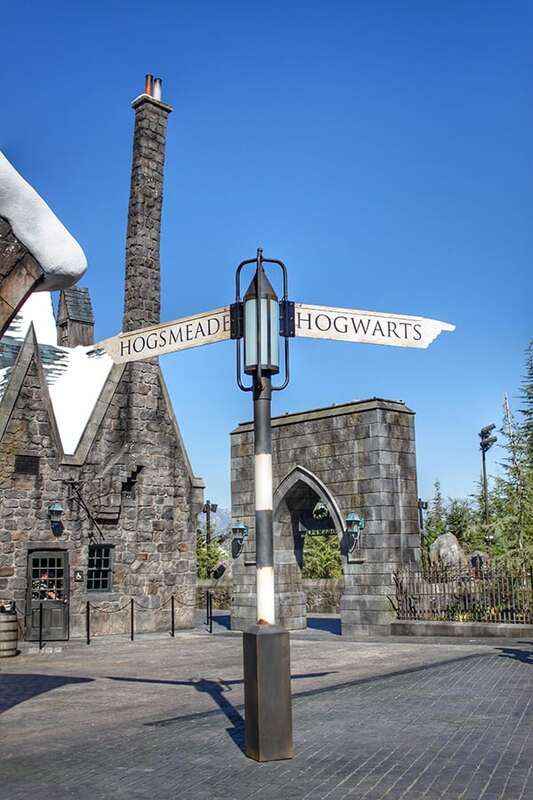 Universal Orlando tickets would probably me more expensive since you have to buy park hopper tickets, Hogsmeade and Diagon Alley are in two different parks and connected by The Hogwarts Express. They are both awesome, so I would say it depends on your budget and how far you are from California vs. Florida.